Aromatherapy is an ancient art. 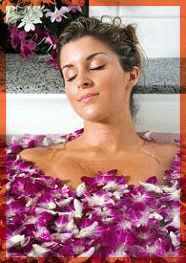 Aromatic medicine, now known as the art of aromatherapy, has been a documented practice for as many as 6,000 years. History records that the Egyptians used aromatic plants to create massage oils, medicines, skin care products, perfumes and cosmetics. Aromatherapy blends pure essential oils that are extracted from plants and trees. Aromatherapy is as much art as it is a science, and the combining of specific, essential oils is known to produce appealing aromas and healing properties. Aroma world Aromatherapy is known for purity and quality, and is the first choice for people who want to use the best. The range, which is constantly being expanded and updated, is extensive, innovative and authentic. Whether you are looking for pure essential oils or pre-blended aromatherapy products, Aroma world aromatherapy is Real Aromatherapy. Bath: Fill the tub with bath water. Add & swish 9-10 drops of essential oil into the bath water. Some essential oils are more irritating to the skin than others. Read the safety cautions for each essential oil. Or add 9-10 drops of essential oil to one teaspoon of carrier oil, such as jojoba oil and add & mix into the bath water so the essential oil is soluble in the carrier oil before adding to the bath. Liquid Soap: Add about 30-45 drops of essential oil to 8 ounces of unscented liquid hand soap or unscented liquid shower body wash. Shake vigorously. Body Oil: Add about 12-15 drops of essential oil to one ounce of carrier oil, such as jojoba oil and shake to blend. Body Lotion: Add 50-60 drops of essential oil to 16 ounces of unscented body lotion. Stir with a spoon or stirring stick to blend the essential oil into the lotion until smooth. Body Mist: Add 10-15 drops of essential oil to a 1 ounce glass misting bottle filled with spring or distilled water. Shake well and shake before each mist. Liniment: Add 25-20 drops of essential oil to one ounce of carrier oil, such as jojoba oil. Shake well to blend. Compress: Add & mix 3-5 drops of essential oil to a bowl of warm or cool water. Soak a wash cloth, wring and apply. Shampoo/Conditioner: Add 12-15 drops of essential oil to one ounce of unscented or mild shampoo and conditioner. Shake well to blend. Hair Brush: Place there drops of essential oil into the palm of your hand; rub over the natural bristles of a hairbrush. Brush your scalp and your hair. Diffuser: Add essential oils to an electric diffuser, candle burner or a lamp ring. Room Mist: Add 17-20 drops of essential oil to a 1 ounce glass misting bottle filled with spring or distilled water. Shake well and shake before each mist. Scent: Add five drops of an essential oil to a hanky or tissue and carry with you throughout the day. Or place under your pillow case to ease you into sleep. Place: A drop of essential oil in the palm of your hand, rub your hands together and inhale. (Keep away from your eyes). (A wonderful way to encourage a deep breath). Read about an essential oil before applying it. Essential oils are very concentrated substances and should be diluted before applying them to the skin. Follow guidelines or recipes, which recommend a 2%-5% solution. Have a recipe's concentration of essential oils when using with children. Do not use essential oils with infants. Do not apply citrus essential oils, especially Bergamot before direct exposure to the sun. These essential oils increase photosensitivity. Essential oils are not soluble in water. Make sure you dilute or fully disperse them when using water as a base. Essential oils can cause a prickly, irritating sensation to the skin. Do not rub water on the area. Doing so will cause the oil to spread. Apply any vegetable/carrier oil to the area; this will cause the essential oil to be absorbed and ease the irritation in minutes. Keep essential oil away from your eyes. Keep essential oil out of the reach of children and animals. If skin irritation occurs or an allergic reaction occurs with any essential oil or product with essential oils in it, discontinue use. Essential oils should not replace proper health care. If you are under medical supervision consult with your health care provider before using essential oils.  These suggestions for Your Safety are not to be considered complete and all-inclusive.